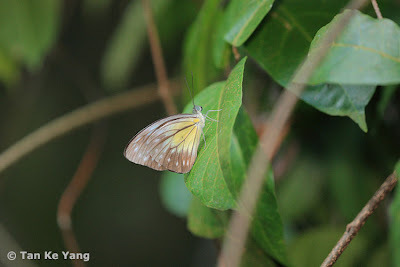 A shot of the female Wanderer (Pareronia valeria lutescens) shot at Pulau Ubin. This is the first reliable evidence of this species in SIngapore since the early authors' observation of this species in the 60's or 70's. Whilst out on a group outing at Pulau Ubin on Saturday 26 Feb 2011, ButterflyCircle members Federick Ho, Sum CM, Koh CH, Tan KY, Simon Sng and Khew SK headed for the usual spots for butterfly shooting on this small offshore island in Singapore. The group was excited to see that the Common Jay (Graphium doson evemonides) that was first discovered on Ubin, was still around and indeed, there were at least 3-4 individuals flying around, though they weren't cooperative enough for a good shot. The butterfly activity on this hot and breezy Saturday morning was quite good, and there were other species flying around the trails. 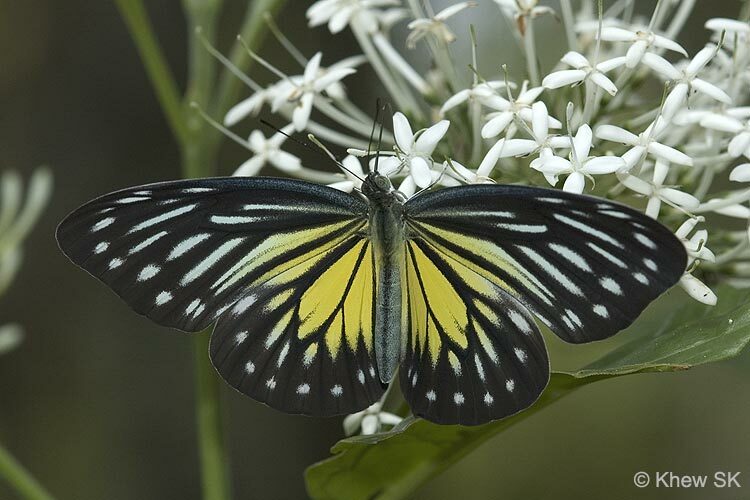 Whilst Tan Ke Yang and Federick Ho were busy shooting a male Great Mormon feeding at a bush of pink Lantana flowers, Ke Yang spotted a slow-flying butterfly fluttering by. He thought that it looked like a Yellow Glassy Tiger (Parantica aspasia aspasia) and gave chase, hoping to get a good shot of it. 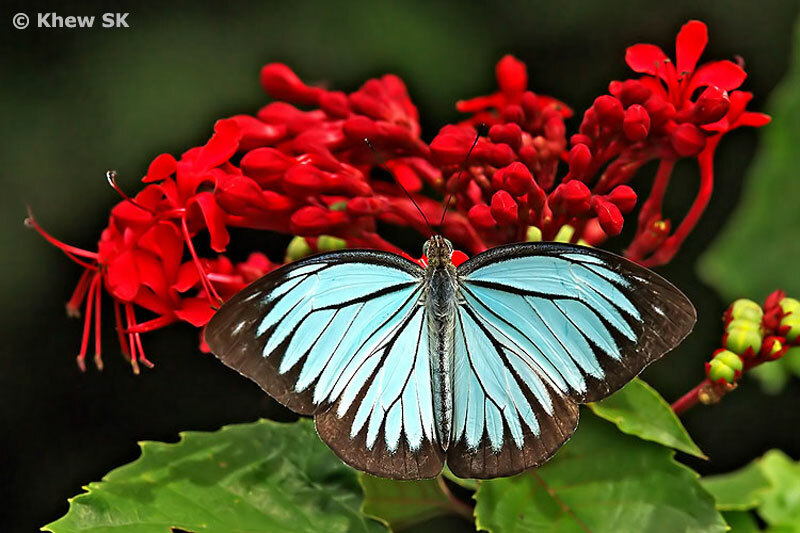 Federick followed suit and chased the fluttering butterfly, which stopped and perched to rest on the top surface of leaves occasionally. It stopped long enough for Ke Yang to take a record shot, and Federick to take a better field shot of the butterfly. However, upon initial inspection, it didn't quite look like a Yellow Glassy Tiger. When I inspected Federick's shot, I knew instantly that this was no Yellow Glassy Tiger, but a female Wanderer (Pareronia valeria lutescens) instead! There was an earlier reported sighting of the male of this species in the early 1990's but there was no reliable evidence of it. 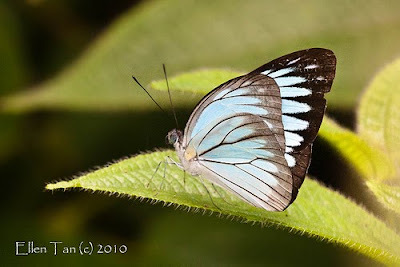 Hence this is the first sighting with photographic evidence of this species in Singapore for a long time. The pristine individual of the female Wanderer suggests that it may have been an offspring that has bred on Ubin, from an earlier seasonal migration of this species from south Johor. 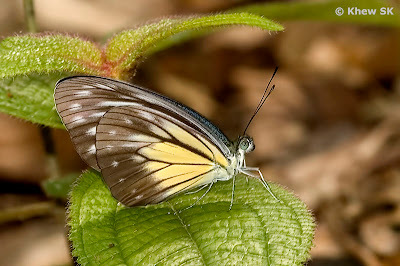 The Wanderer belongs to the genus Pareronia of which two species are found in Malaysia. 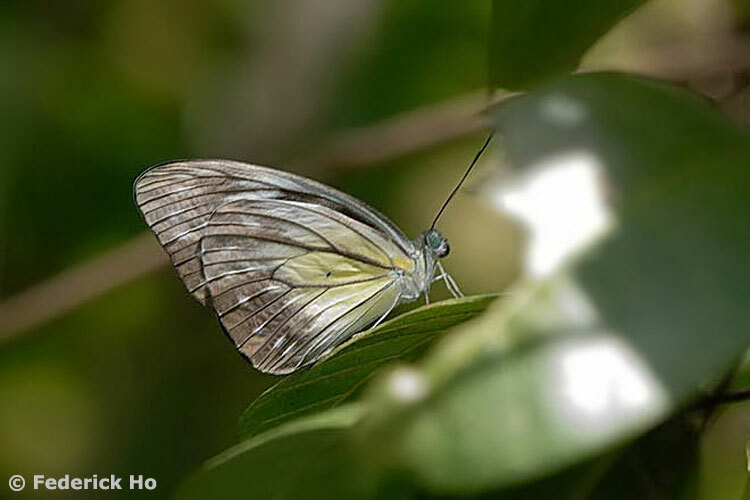 Both species display sexual dimorphism (where the males and females look different from each other) The species Pareronia valeria lutescens was recorded as extant in Singapore in the early authors' checklists. The male Wanderer is pale blue above, with prominent black veins on both wings. 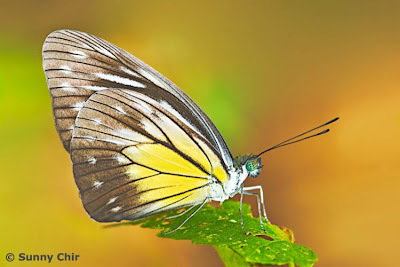 It is fast-flying, with a swift restless flight but stops to feed at flowers. The butterfly host plant is reported to be Capparis heyneana which should be looked for on Pulau Ubin, as there could be a sustainable population of this species, if there is adequate supply of the caterpillar host plant. 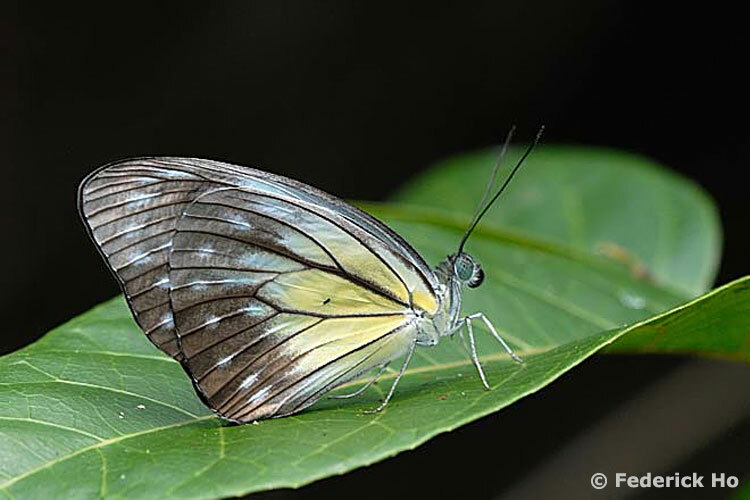 And so, with thanks and congratulations to ButterflyCircle members Ke Yang and Federick, we add species #299 to the Singapore Checklist with the re-discovery of the Wanderer!